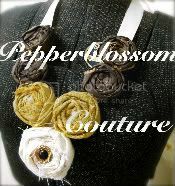 pepperblossom decor: We are on Etsy! we are in the process of getting our Etsy store up and running. check back often for updates and new products! most products listed on our etsy store are also available at our boutiques!